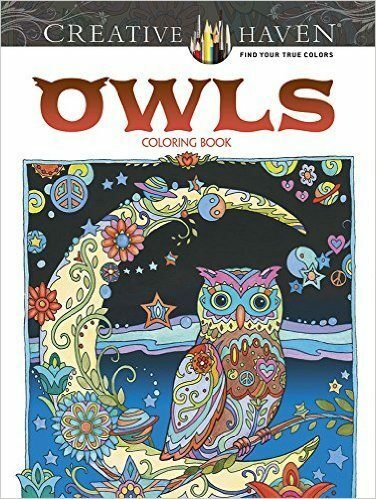 Creative Haven Owls Coloring Book Only $4.32! You are here: Home / Great Deals / Amazon Deals / Creative Haven Owls Coloring Book Only $4.32! Adult stress relieving coloring books are all the rage right now and right now you can get this great deal at Amazon! You can get this fun and highly-rated Creative Haven Owls Coloring Book for only $4.32! Wow! More than 30 fanciful full-page illustrations depict the wisest of birds in lush, tapestry-like settings. Covered with flowers, paisleys, and other fun-to-color patterns, these adorable owls are posed against vivid backgrounds brimming with intricate designs. Pages are perforated and printed on one side only for easy removal and display. Specially designed for experienced colorists, Owls and other Creative Haven® coloring books offer an escape to a world of inspiration and artistic fulfillment.